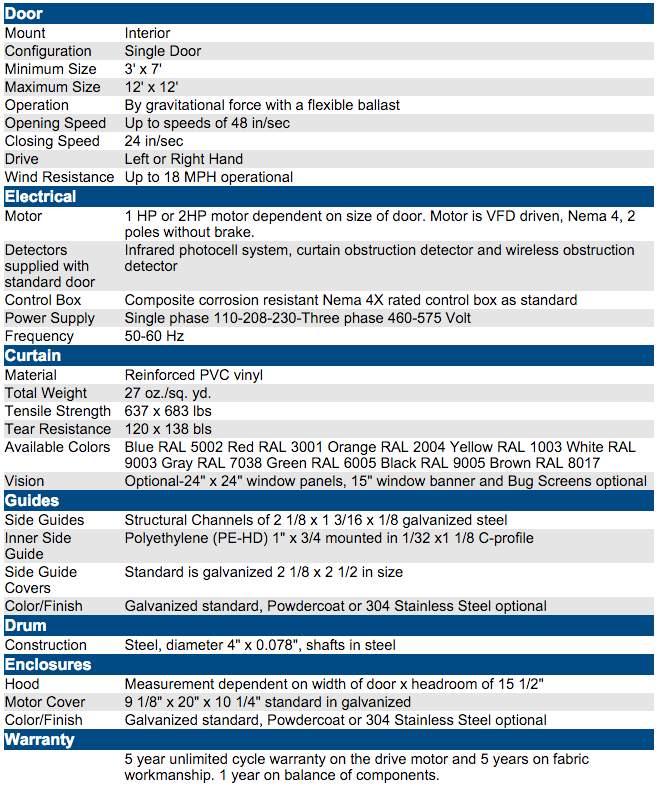 RapidCoil RC100 | Dock Door Systems Inc. 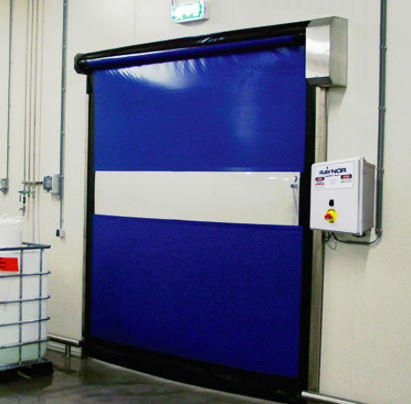 The RC100 is a gravity operated door designed for small to medium sized interior applications where light to moderate wind pressure exists. The efficient and low friction zipper design provides greater wind pressure resistance than the RC200 bead style doors. The specially modified zipper sealing and inner guide technology provides a larger area of travel, allowing the door to operate in the harshest industrial environments. The RC100 combines advanced control and drive technology for smooth, quiet operation. Incorporating Logix controls, with a variable frequency drive, provides the customer maximum performance, flexibility and self-diagnostic capabilities. The proven zipper technology and auto re-insertion feature allows the door to be impacted and reinserted with the push of a button. All metal components come with a galvanized finish for added durability and resistance to typical manufacturing environments.